Ford Essex V6 – still rated as one of the best! Power plants for motor vehicles get manufactured in their thousands but few remain a household name. This page is a tribute to the Ford Essex 2.5L, 3.0L and the race tuned 3.4L Cosworth DOHC V6 engines. What puts these engines in the top ten of my list is a) the affordability and b) the ease of which the home mechanic could raise the power and torque. Modern times call for drastic measures and certainly there are 1600cc engines developing the same amount of horsepower and more performance but these are temperamental beasts powered by sophisticated and costly electronics. The Essex motor was built in the 1960s and is still a tinkerer’s dream chiefly because they can be picked up at low cost and afford the owner easy maintenance on a tight budget. I’ll try to get a picture of the Essex engine – this is that of the Cologne built for the German and European market, the Essex was used in the UK and South Africa. If anyone of our readers could assist me I’d be mighty obliged – please give a little bit of history (of yourself as well). Ford Essex V6 – The name ‘Essex’. The Essex name was derived from the county in which the first British motor originated, Dagenham, Essex – this was a 60 degree motor compared to the later Canadian version which had V-cylinders sitting at 90 degrees. This article is dedicated to the 60 degree UK version which had a cast iron block, believed to come from the original intention of building diesel engines with minimum retooling. The Essex motor was in production until about 1999/2000 in South Africa. Here was an engine that was used in practically every sector of industry from agriculture, generators to marine. The VW Combi was modified to run with this motor albeit not that successfully due to heating problems (in the ones I came across). Many pickup owners would basically trash their engines when it reached a certain mileage or stage of wear and fit the 3L V6 – it was a cheap alternative and in many cases better than the original. For breakdown rigs these motors were virtually indispensable). 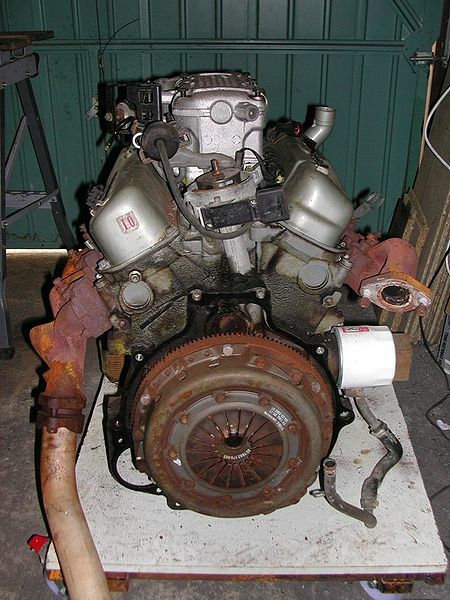 In the early 90’s a 3L sub could be purchased in the RSA for approximately 500U$ (today’s value) – this was virtually unheard of at the time when it came to OEM replacements from other manufacturers. The original V6 was a copycat of the Ford Taunus V4 motor with additional cylinders and released on the German and European markets as the Cologne V6. The Essex motor was eventually replaced by the Cologne yet in South Africa the motor continued in production as the Essex motor with Lucas fuel injection. Both variants of the motor had push rods and overhead valves, this configuration changed for the Cosworth series which had double overhead cams and fuel injection. The original Essex motor, although designed for the Transit vans had oodles of torque and was exceptionally smooth to drive. Gauging by advertisements on either the sale of these engines (the V6 3L) and/or vehicles with these engines there is an abundant supply. And cheap too. From my own experience there seems to be a natural tendency for DIYers to focus on the Beetle motor, the Ford 1600cc and of course the 3L Essex motor. The 2L Nissan SR engine is another good engine to get your hands on to but my bet is on the 3L motor – one can still pick them up for a few hundred quid and with modifications sit with a 300 HP power plant for a few hundred more. Most companies supplying high performance camshafts or rebuilds cater to the end-users budget and these engines are no exception, especially based on their popularity and simplicity.